After seeing these nonpareil rimmed drinks from Pink Preppy Lilly Lover I figured the patriotic themed nonperils would be the way to go for the 4th of July. But Courtney has a different idea that is perfect for the 4th of July. Pop Rocks!! 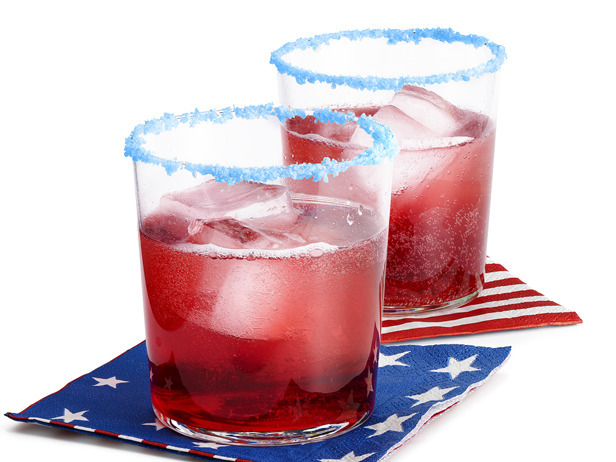 Put pop rocks are much more firecracker-esque, which makes them perfect for the 4th of July. 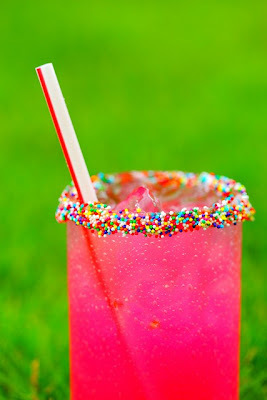 Pizzazzerie used lemon juice to get them to stick and has some fun adult beverages to go with both the red and blue pop rocks. You can get those Pizzazzerie. But cranberry juice and ginger ale would work too, not to mention any red or blue punch you might have a recipe for. What a great idea! My dad got the idea to start eating pop rocks with creme brulee a few years ago... I'll have to pass this one along to him! Have a great 4th!